When I was asked if I’d like to take a look at this site I was initially fascinated by the name. Now I get asked to look at lots of sites or review lots of products and many of them just don’t suit me or the blog. Often they just aren’t something I’d want to feature on here and show you. But Striped Deckchair really caught my eye. Why? Well like I said, I loved the name but I’m also a big fan of stripes! 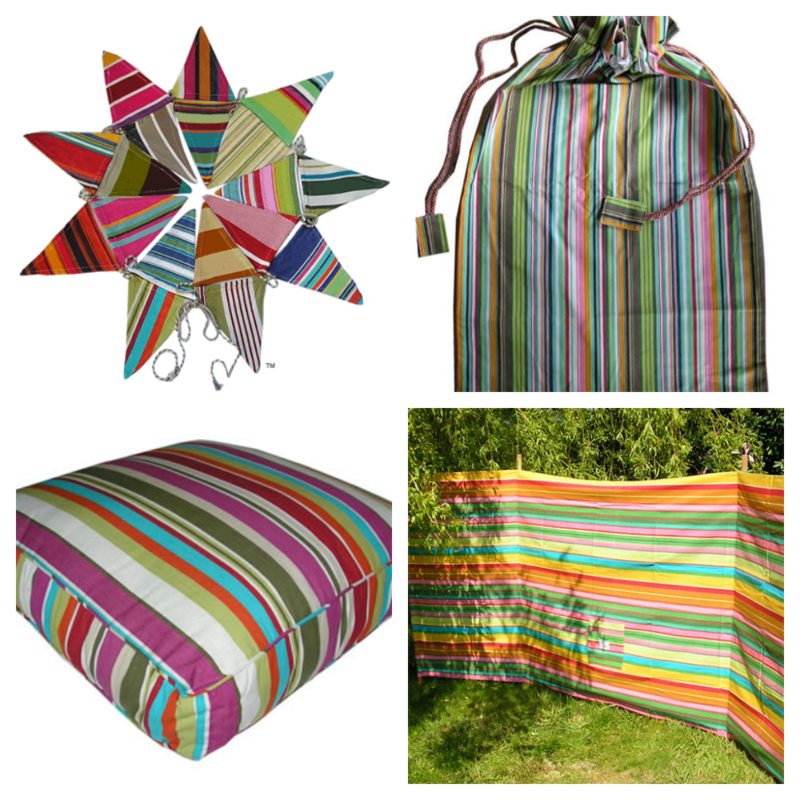 Deckchair Stripes is a small independent company dedicated to sourcing the most amazing striped fabrics and home interiors and giving them the exposure they deserve. Of course there’s the ever growing range of traditional striped deckchairs with some of my favourites below, and even a tutorial on how to recover your old deckchair. But Deckchair Stripes is more than just deckchair fabric. They have striped wallpaper (yes I was very tempted), striped cushions, striped storage bags and striped kitchen accessories. If you think it can be made from a striped fabric then they are likely they have it. I’m loving their bunting, the drawstring bags, the windbreaks for next year’s holiday and the lovely large floor cushions. 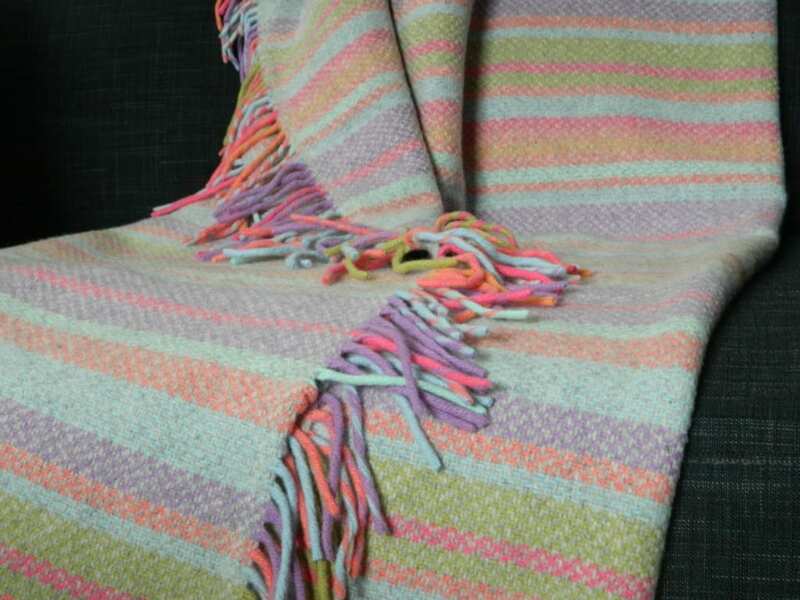 However whilst looking through their site I was really taken with this beautiful wool and cashmere striped throw which I have actually banned my children from using! Isn’t it gorgeous? 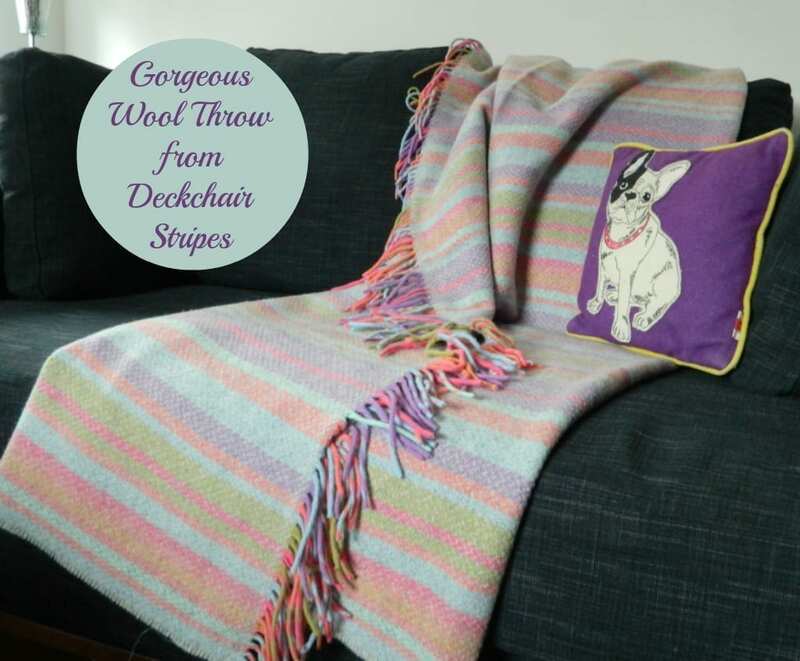 Designed by Deckchair Stripes using their signature Ballroom stripe, and made right here in the UK these throws are made from the softest wool and cashmere mix. I am keeping this one all to myself I’m afraid! The family won’t be getting anywhere near it and it’s solely for me to snuggle up with on a chilly evening when I’m blogging or watching tv. It is beatifully made and looks and feels divine. Thank you Deckchair Stripes for sending me something so glorious. I shall be back at your store very soon indeed. My eyes are always immediately drawn to anything striped. Can’t get enough. 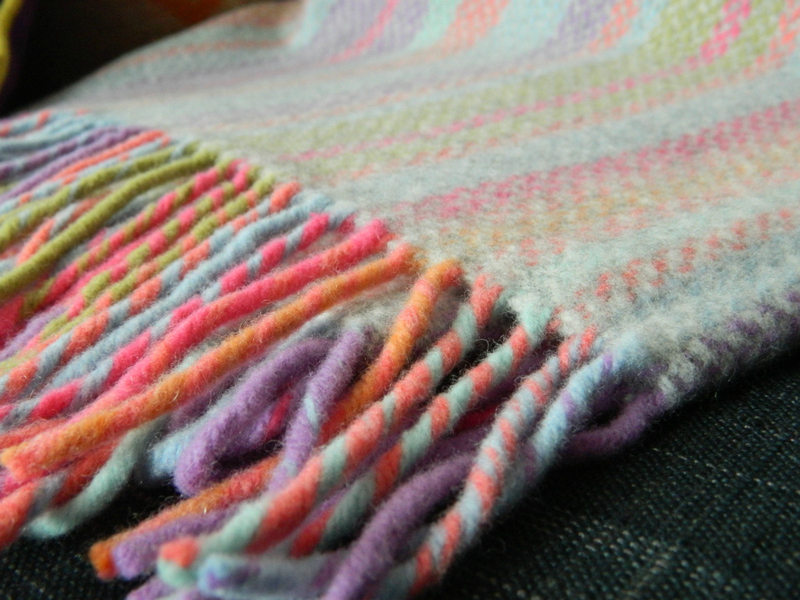 The throw is quite beautiful and it looks so, so soft.